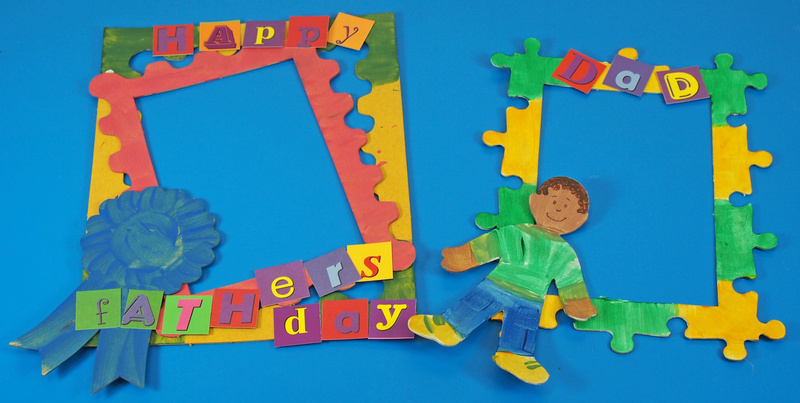 Frame wonderful memories for Father’s Day! 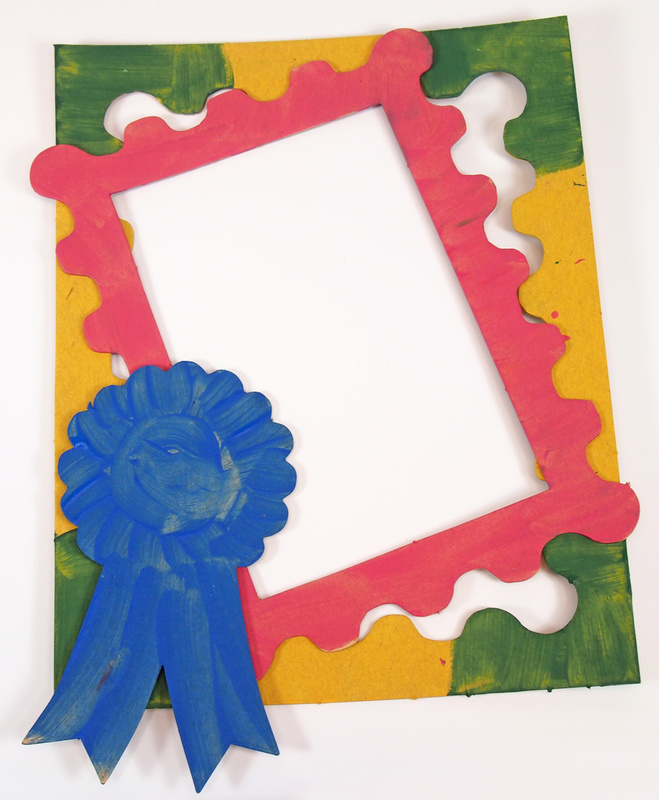 Learning Objectives: Create beautiful painted frames for Father’s Day. 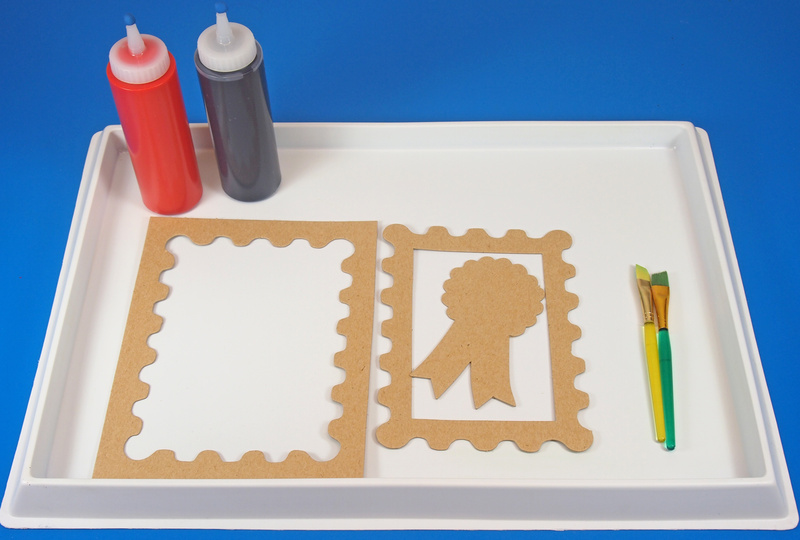 Make a gorgeous take-home craft. Practice literacy skills while spelling out words with letter mosaics. Arrange and overlay various picture frame elements to get an interesting design. Our chipboard frames are specially designed to “nest” into each other, giving you way more value for less! Simply break apart the frames at the score lines. These frames are intended to overlap together to create an interesting design. As an added bonus, the center of each frame contains a third image that can be popped out and glued to the corner of the frames. 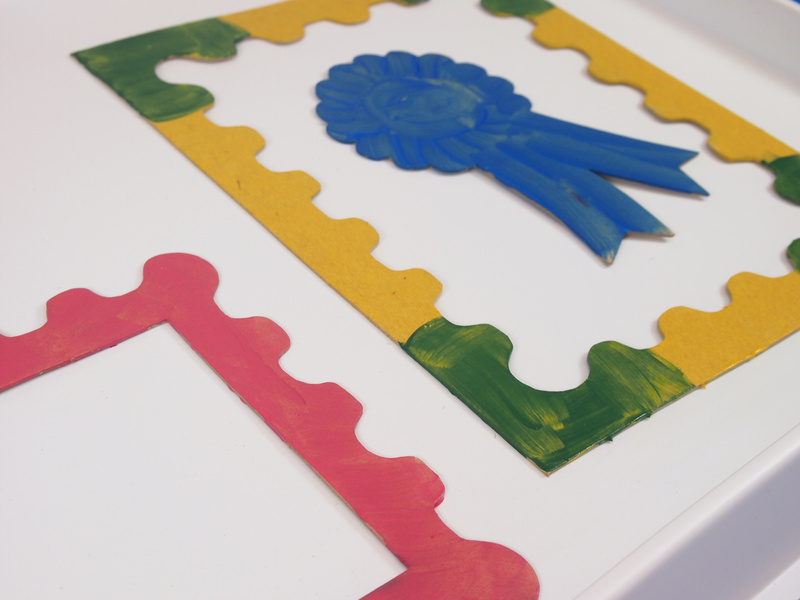 This project uses the frames with the winner’s ribbon, but you can adapt this activity to any design in the Chipboard Frames pack. For this activity, I use regular school-grade tempera paint and mixed all the colors used with a bit of white paint for greater intensity and to prevent the 100% recycled material from absorbing all the paint. Use broad, even brushstrokes to fill the frames with color. 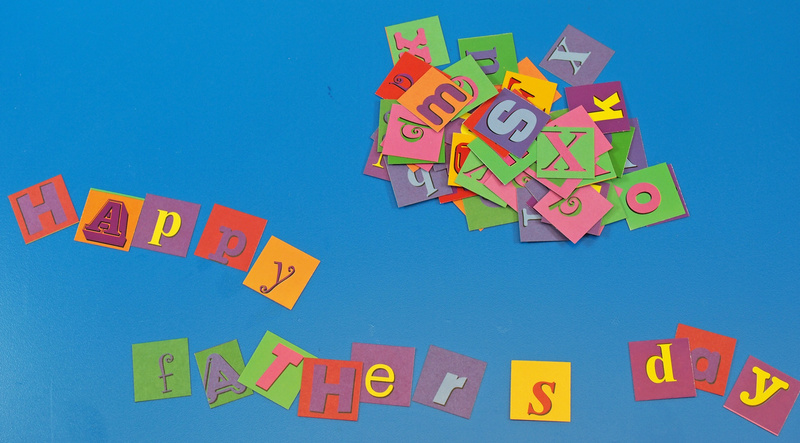 While waiting for the paint to dry, grab a pile of R15632 Alphabet Pasting Pieces and sort through them to find the letters that spell the words, “Happy Father’s Day” or a similar phrase. You can explore different types of lettering styles with the interesting colors and designs! Once the frames are dry, layer the largest in the back and the smallest pieces towards the front. Use the additional element to decorate a corner of the overall frame. Paste all the pieces together with white glue. Layer the Alphabet Pasting Pieces phrase onto the frame. 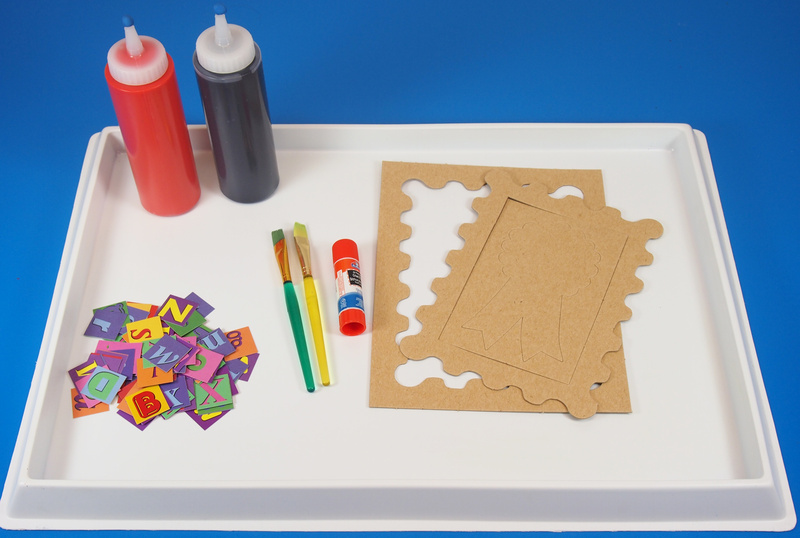 Use white school glue to paste the pieces. Here’s a look at a simpler design created with the Alphabet Pasting Pieces and the frame. Print out a photo of yourself and paste to the back of the frame! 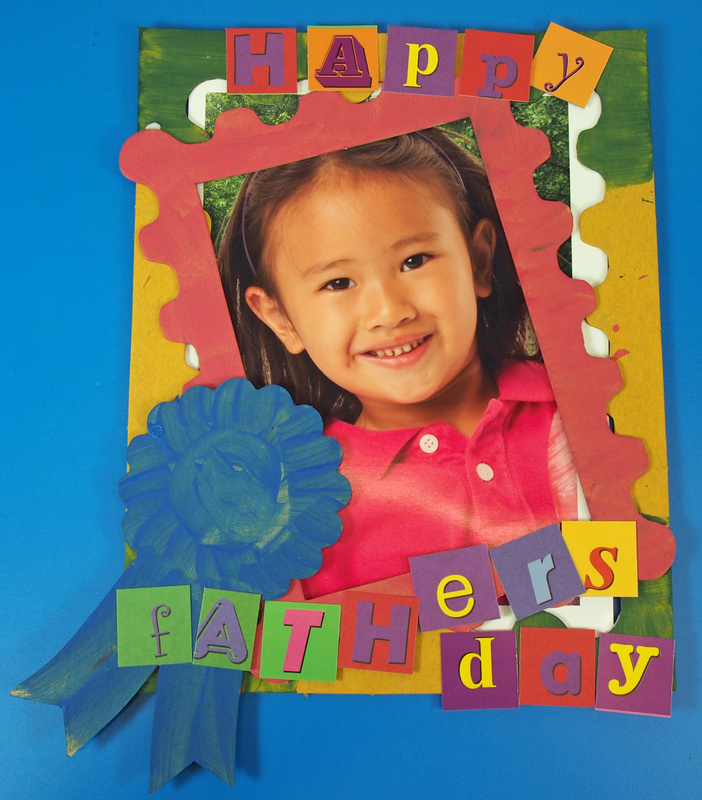 This makes a great take-home craft for all your students and just in time for Father’s Day! 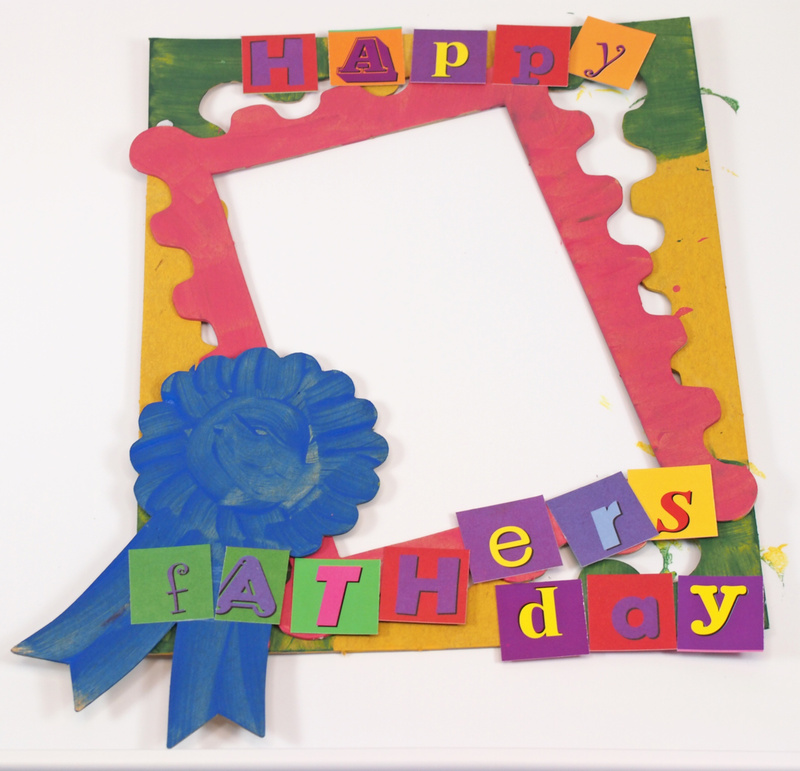 This entry was posted in Crafts, New and tagged father's day, father's day craft, father's day diy, father's day gift, father's day gift ideas, father's day pictures, father's day pinterest, picture frame diy by roylcoblog. Bookmark the permalink.